Waziyah Poultry Nafjan Group - Nafjan Trading and Contracting Company, Dammam, Saudi Arabia, Power Distribution; Water & Sewerage Networking; Telecommunications and Data Processing with the best Engineering Designs, Installation. Testing & Commissioning, one stop shop for genuine Electrical, Telecommunications, Mechanical and Electromechanical goods. 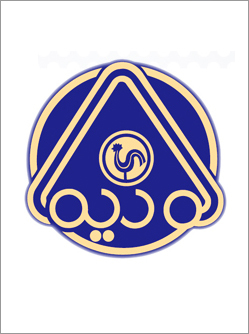 Al Waziyah Poultry Co. was established in the year 1985 with a view to cater the growing need of poultry and poultry products locally. Located in the eastern part of Saudi Arabia, Al Waziyah is a well known Broiler farm and famous for its breed and quality. Al Waziyah Poultry Co. has dedicated plants for Hatchery, Broiler farming and state-of-the-art Slaughter house to serve its customers with high quality end- products at the competitive price. We at Al Waziyah Poultry Co use very best technology and equipments for hatchery, Broiler farming and Slaughtering to keep us ahead of the competition in an ever growing competitive market. Al Waziyah Poultry Co is very responsible and committed towards its environmental obligation hence it has a modern Rendering plant to process poultry wastes (feathers, blood, soft meat, bones) into proteins. Now Al Waziyah is going a step further procuring state-of-the-art technology to convert these poultry offal into the usable proteins. The rendering process breaks down and refines these materials to basic components, which are made into protein-rich meal with high degree of digestibility, and easily bleachable technical fats.